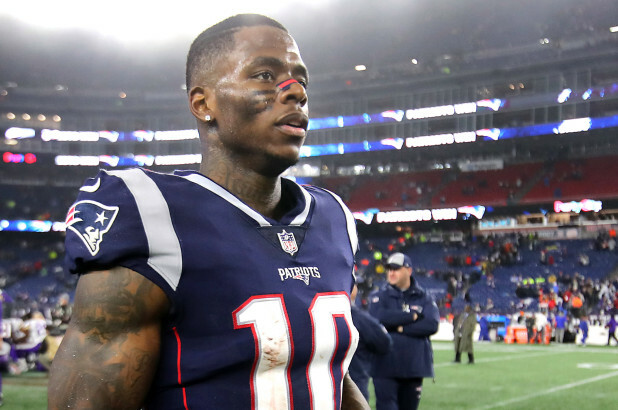 Josh Gordon was well on his way to being a key contributor in the Patriots playoff run before his season was once again derailed by substance abuse. That isn’t going to stop the Patriots from showing him love for his contributions and support of the team. The 27-year-old Gordon, of course, was suspended indefinitely by the NFL following the Patriots’ loss in Pittsburgh, due to a failed drug test, but it sounds as though he took the correct steps and it is possible he will be cleared to play again next season if everything works out. It would be great to see Josh come back clean and get a chance to add another ring to his hand next season. Gordon is expected to start his reinstatement process in May.